Spring is here and it was nice - but not nice enough to be outside sketching with the group. Fierce winds were the order of the day. Fortunately Peggy Roalf planned a wonderful indoor day for us. It was my first visit to PS1 and while I enjoyed the museum visit I was stumped on what to sketch. The first room I visited turned out to the be the most interesting. It was a room filled the steam heating and hot water pipes that serviced the building. 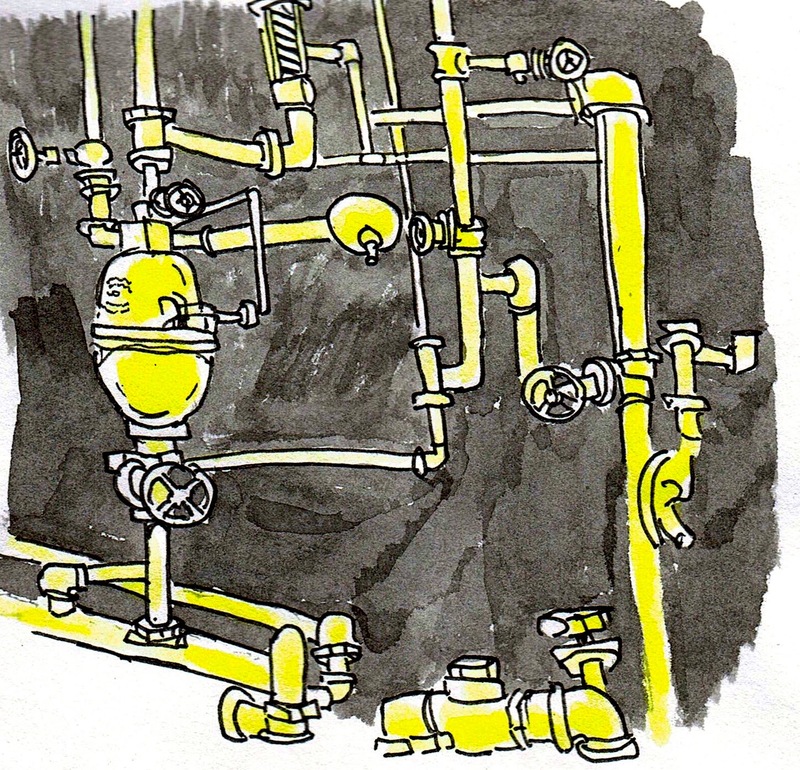 All the pipes had been painted a golden yellow color and seemed to glow in the semi dark room like holy objects. After we were done at PS1 we walked to the LIC Bar, a cozy neighborhood watering hole. Urban Sketchers took over the back where we conducted our Show and Tell sharing the work we'd done that day. 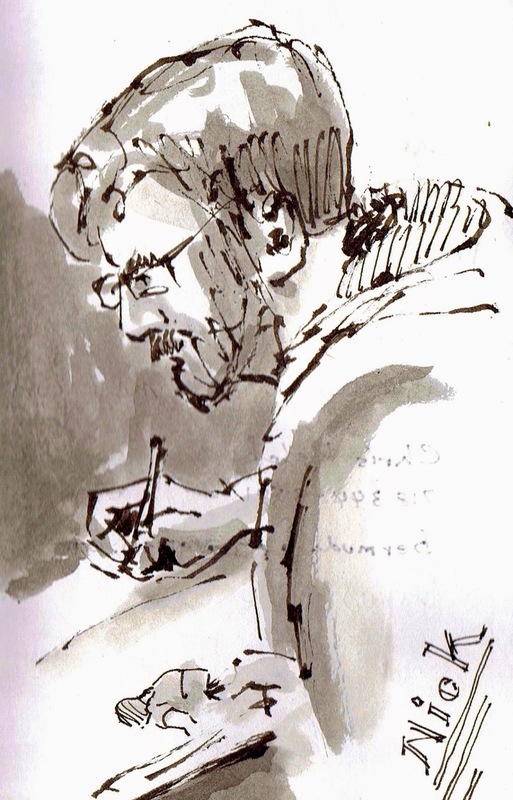 I did a quick sketch of Nick as he was busy sketching some other people in our group. A group of architects came in and ended up sitting out our long table. 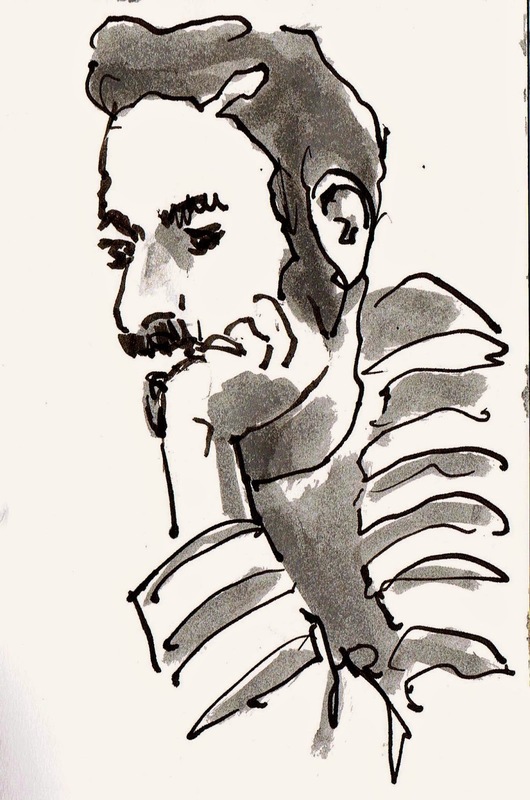 Luis chatted them up telling them all about Urban Sketching, while I sketched one of them.